Made from recycled molded plastic, this durable AV cart will not scratch, dent, rust or stain. 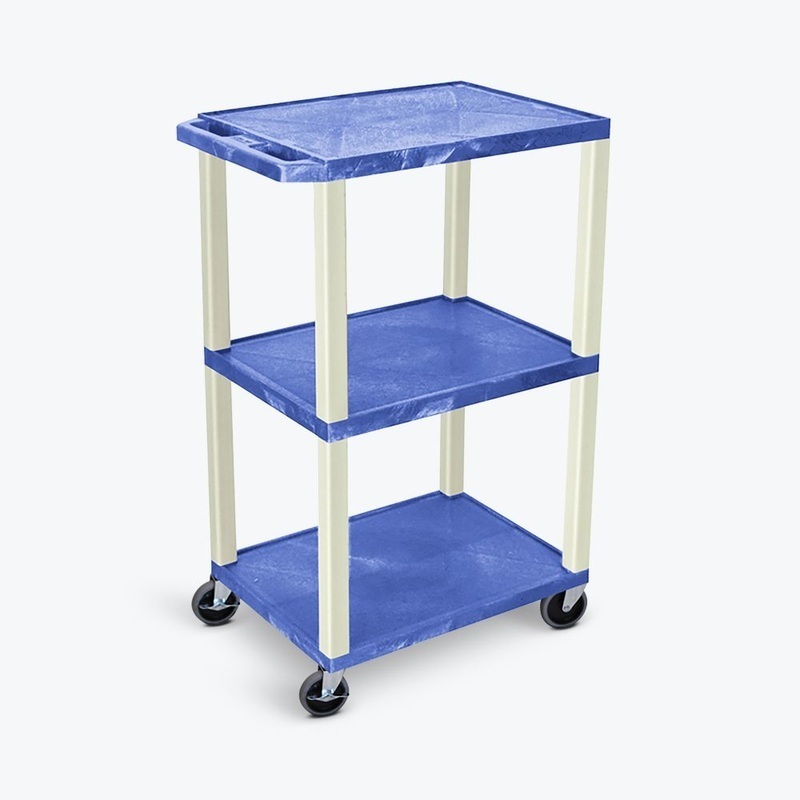 Each of the three 1.5"-thick flat shelves has a .25" retaining lip and a textured surface to keep contents from sliding during use or transport. The top shelf has a recessed, three-outlet UL-Listed electrical assembly for convenient power access. 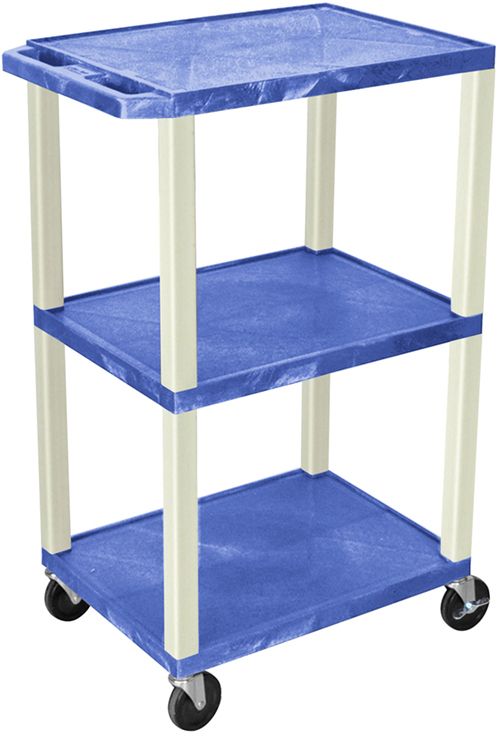 Square legs provide sturdy support and four 4" ball bearing casters (with two locking brakes) coupled with a push handle molded into the top shelf allow easy transport from place to place.